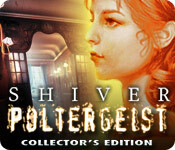 Shiver: Poltergeist Collector's Edition is rated 4.3 out of 5 by 154. Rated 5 out of 5 by abelss from Chilling I really felt like this was real, which isnt too often with all the games I have played. The graphics were excellent and the special effects were chilling in many of the scenes (knives being thrown at you, house catching on fire right before your eyes, etc). The HOS were easy; I didn't use a hint for any of them. The puzzles were also pretty easy with a couple harder ones (the ship collecting treasure one took me awhile#, but no skip was needed. The hint was useful in guiding me where to go #instead of of telling me it actually used arrows in certain directions that I could follow). There was no map which is usually disappointing because going back and forth can become tedious, but this game wasnt too bad without a map. The bonus play was very good too. You finally find out who the killer was/is. Rated 5 out of 5 by Juniebug40 from shiver poltergeist coll.ed. great game, strategy guide & hints were very helpful. story was consistent. plot kept me guessing who was actually the guilty one. HO's & minigames were fun & challenging at times. Glad I bought it. The bonus game helped me finish the story. sometimes you know there will have to be a follow-up future story, as the evil one goes to another evil plot, but it wasn't necessary with this one. Sometimes they are just not needed or wanted. Thanks, it was a great game! Rated 5 out of 5 by Torpedo1 from I bought it I bought this game and after playing a little while just had to come and leave a review. The game is haunting. After peering into a room a door slammed and spooked me. I got a chill looking at a light house. I then started to notice light shadows playing about the room and faint specter globes moving about and cold mist sneaking in and out from place to place about the room. I really felt like I was in a beautiful haunted house. A lot of detail payed attention to to make me feel the atmosphere and it worked for me. Characters were good and music was good also. I am really enjoying this game even with its ordinary HO scenes. Can hardly wait to see what this haunted place is bringing me to. Hope I do not get stuck in that light house. Rated 5 out of 5 by Boomer1097 from Fun with Poltergeists This is a great game. You just inherited an island complete with a mansion and butler. You quickly find out that there is a poltergeist and a lot of really odd things are going on. Then the fun really begins. The graphics are excellent, the voice overs are appropriate, the cut scenes are really well done (and can be re-watched from the menu), the music is annoying (but can be muted), the HOS are good and the mini games are fun. Some of the inventory items turn into puzzles, which was really fun. The ending of the main game was very abrupt. Thank goodness for the bonus chapter, which was excellent and had a very satisfying ending. The SG is built in and helpful. The only annoyance is that it returns to the TOC if you exit the game. I highly recommend this game! Rated 5 out of 5 by neilskinut from long fun and a real gem This is a really fun game to play. It is not hard at all and if you need help the hint button works great. Fast reload time. Does not have voice over and you do need to go all over the place to find clues but the flow is good. It is a long game and just a fun one to play. Rated 5 out of 5 by usfreedom from Great challenge! What can I say? It's well worth the money. 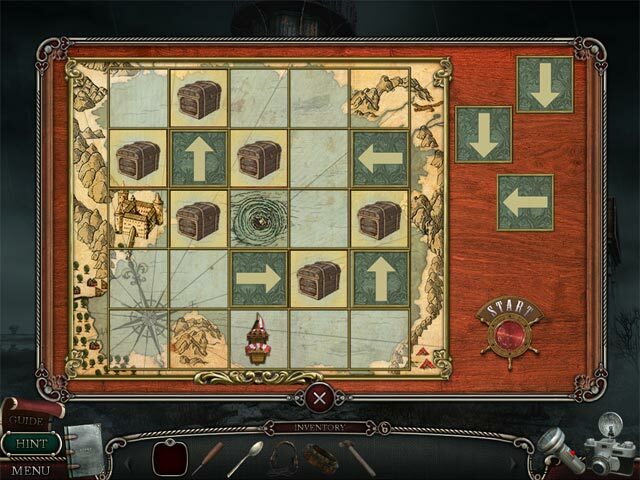 New puzzles and the bonus game is great! Rated 5 out of 5 by greenshade from well worth the price of CE Won't go into description of game, voice overs, etc. because they've all been done. A LONG game and bonus chapter well worth the price to complete the story. The only thing I would have liked to see is a map. I sat and drew out my own so I wouldn't get lost. Rated 5 out of 5 by truthtrans from Great Game! I absolutely loved this game! The only thing that would make it any better would be more puzzles. Rated 5 out of 5 by ffuryy50 from LOVED IT! This game lives up to the first one in what I hope is going to be a very long series..... This game might even be better than the first and I wasn't expecting that.... I got so immersed in the story and game play, that there were several times I got spooked and nearly jumped out of my chair a couple of times. I needn't say much more as there are 124 other reviews that pretty much cover it all.... Just know that I love the Shiver series and can't wait for another one.... This is a "do not miss" game.... And one of the few for which I shell out the bucks to get the Collector's Edition.... and don't wait for it to go on sale.... Simply great game! Rated 5 out of 5 by wiccan73stars from Awesome addition to the Shiver collection Amazing graphics, well done VOs, puzzles were a wide variety of easy to hairpulling hard. There were just enough HOS to be useful and not annoying. THe cut scenes were some of the best I have seen in awhile. The storyline was excellent with suspence,romance and revenge all rolled into one. The bonus material is really a perk! Choice of play level, journal with task list, no map though. Looking forward to the next Shiver installment soon! Rated 5 out of 5 by swissuz from Kept me interested throughout! I can't put my finger on why this game captured me so much. There are definitely games with better graphics, music and imagination, but that might be why it liked it. It wasn't over the top in crazy lunatics, or phantoms or impossible puzzles. 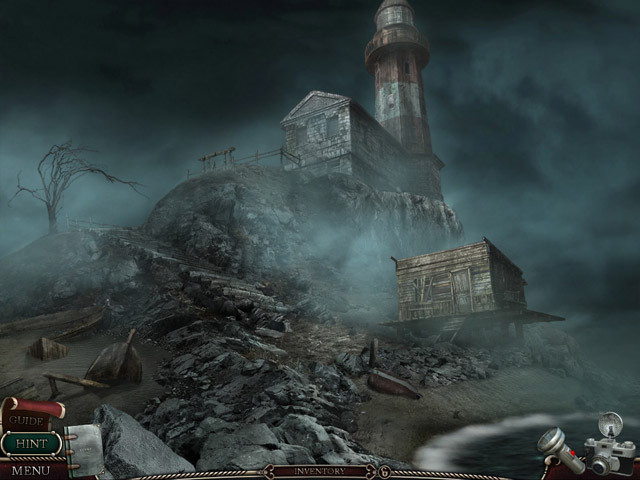 It was a little gloomy, but of course...set in England on a dark stormy night....the new owner (game player) is left to explore the estate he/she inherited. The storyline was ghost ridden, but not silly. The music was classical and fit the setting. Some of the HOS games were hard to see.....but made it just challenging enough. Be sure to play the EXTRA Bonus game....sort of helps sum it up. It was also a game that made sense as far as using items and not tossing in many items that were illogical for the time span. If you use the CE help, be sure to note that some help pages have scroll down bars on the left and some do not. I discovered this halfway through the game and wondered how I had missed some key items. I try not to rely on the tips, but the ones that I did need, helped advance the game once I discovered the scroll bar. There is nothing extreme or violent about this game....good for adults down to PG-13. Rated 5 out of 5 by turkthesnake from My favorite, hands down. I got Shiver: vanishing hitchhiker as a deal after purchasing another game, and I loved it, so when this came out I immediately bought it, and couldn't be happier. I loved... ... the storyline. Part of this is that I have a personal fantasy about owning an old castle, but I think this story has "mass appeal" as well. The developers did a very good job of handling the story so that there is a conclusion whether you opt for the SE or the CE. Usually you either have bonus gameplay that has nothing to do with the original game, or you don't get the final chapter of the story unless you pay double the price. I don't like to waste my money with the former, and I boycott the latter, just to stick it to the man. All in all, I would definitely recommend the CE. The ending had me grinning ear to ear, in spite of myself. At the same time, I don't think you will be disappointed if you opt for the SE. I have MAJOR respect for developers who work to make the SE satisfying too. ...the graphics/sound. HO scenes were of the standard variety with some interaction. I never felt that they were unfair (making things translucent or only a sliver of them visible is what I call unfair). The artwork and sound effects were superb - the little things make all the difference: I liked the way HO's dissolve in fire, the creeks in the old house, the wind in the outdoors, the way the light fell -- everything seemed carefully crafted, environmentally. I am a person who usually turns the sound off, but not for this game. The voice over in the introduction sounded like someone I would hire just for bedtime stories. Even the music seemed tuned to the game, not just background noise. ...the gameplay logistics: I'm a person who gets annoyed if I feel HOS or puzzles slow up the storyline. The story is my primary interest. The pace of the game was good; I was rarely at a loss as to what to do but at the same time it was challenging. I never felt like the game was played for me via hints. HOS were, as I said, clear, and puzzles were diverting and challenging without being frustrating and annoying. Overall, I would liken the experience of this game to simultaneously watching and acting in a good suspense thriller. Rated 5 out of 5 by dailyrev from Solid game, great story Let's face it, most of these HO ghosty games feature really lame story lines. This one's different: very cool storyline, especially if you get the collector edition with the embedded denouement. Purists and hardcores might find the actual gaming somewhat simplistic; I thought it was fine. But whatever shortcomings might exist for you in the gaming are made up for by the nicely developed plot, characters, and narrative thread. Very good stuff and worth the CE price. Rated 5 out of 5 by Riff74 from AWSOME AWSOME AWSOME This is THE BEST HOG I've played ! Great spooky story , which are the types I love , great extra play ! I highly recommend ! I would SO love to see more games from Shiver , as i also love the vanishing hitch hiker ! Rated 5 out of 5 by Munch126 from A fun game Good story line and the puzzles weren't too easy without making me want to scream while figuring them out. Rated 5 out of 5 by Penhip from AMAZING!!! I absolutely LOVED this game from start to finish. I have been a long time player of Adventure games but Poltergeist could be the start of an entirely new experience in this genre of games. The graphics were nothing short of astounding... at times the game appeared to be happening in 3D. The music and visual quality were flawless, heightening the suspense of the game and driving the storyline which was constantly moving forward. One of the best experiences I've had in a long time. BRILLIANT execution on every level imaginable. HIGHLY RECOMMEND!!!!! Rated 5 out of 5 by unchienne from Hauntingly beautiful One of the best games I've played on Big Fish...and a lot of the fun factor is to be lain at the door of the composer for this game. The music (along with beautiful scenery) really set the tone. I get chills just walking through sections and hearing the crescendo of sounds. Very reminiscent of Zork Nemesis. Gameplay was good. Some of the puzzles were a little less challenging and more legwork/clickwork, but that's o.k. and gives your brain a bit of a break now and then. Once I started, I couldn't stop until I'd finished the entire gameplay. Rated 5 out of 5 by Firehorse66 from Love Shiver! Loved this game as well as the Hitchhiker game. Great adventure, although this one had a great story. Can't wait for their next creation! Graphics are great, lots of areas to explore, not too many HO piles, fun puzzles, a perfect balance. Two of the best games out. Rated 5 out of 5 by zaitrancer from WOW! This is what gaming should be all about! This game is dark, eerie and atmospheric with stunning graphics and an engaging story line and game play that kept me enthused right through the end of the bonus chapter. I'm fairly new to gaming, but this is the most fun and enjoyable game I think I've ever played! I played this game on expert mode which offers no skips, hints or sparkles. Expert mode gives a nice challenge without being too difficult. One nice thing about the puzzles in this game are that they fit nicely into expert mode because they are integrated into the story line in a way that allows them to be solved by game play, diary entries and inventory instead of random puzzles like rotating geometric shapes, connecting pipes or fuses, untangling lines, etc. Rated 5 out of 5 by yankeesonlygirl from This has been the best HOG. I have played many HOG that have not kept my interest. I have been very leery of these type of game as of late. Shiver did not let me down. The story line was tragic as a good ghost story should be. It left me guessing all the way till the end. The music set the mood real well. I did not have to turn off the soundtrack. It set the eerie tone that you want to have in a haunted house. The game itself was great. The graphics were easy on the eyes. 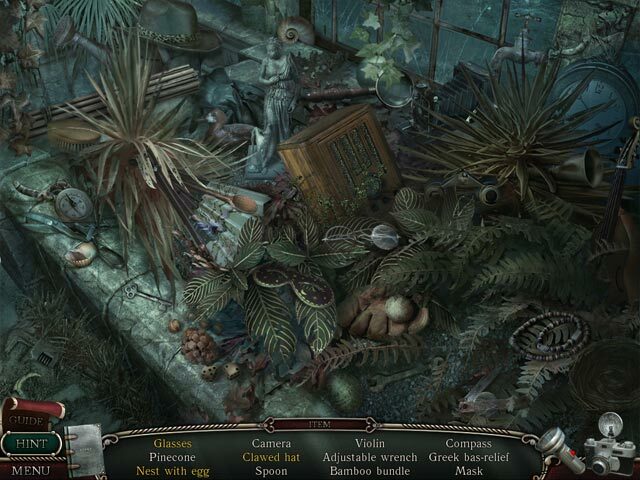 The hidden objects were not difficult for me to find. The mini puzzles are nice and balanced during the game play. If you want a good HOG that will not let you down, give this game a try. Rated 5 out of 5 by keylawna21 from Loved this game!!!!!!!!!!! The game was dark but interesting! I like when you have to use the flashlight or things that you found to get through the puzzle in other ways than just the norm. I will continue to buy this line of games. It's my favorite game in the year that I have been buying games from Big Fish! Rated 5 out of 5 by schmear from One of the best ones yet I play a lot of these HO games, and this one is definitely one of the best. The other one is the Shiver with the missing girl. I want the Shiver people to make more, more, more! Challenging, interesting story line, great graphics. I like paying $13.99 for a game that takes me days, not hours, to solve. Rated 5 out of 5 by jentl64 from beautiful game! Excellent storyline, great graphics, my favorite game! Rated 5 out of 5 by gskremser from Definitely worth playing! This game was a lot of fun. Puzzles weren't too complicated (I enjoy playing games in casual mode--I'm not super into difficult puzzles and such), the storyline was interesting, the voice-overs were done well, the graphics really good. Just a fun game--I recommend this to anyone who enjoys playing these games just for the fun of it! Rated 5 out of 5 by odarney from I don't write a lot of reviews - but this game is OUTSTANDING! My first comment: Long playing. Outstanding graphics. Eerie settings. Semi-difficult challenges/mini games. A good deal of putting things together to make one bigger item. I like that; different. I don't usually buy C.E. 's anymore (tight budget), but this was definitely worth it. Give it a try! Rated 5 out of 5 by SadJeannie from Excellent! I wish they made more creepy ones like this. Sometimes silence is creepier and more interesting than the same old violin-y music playing over and over and over again throughout the entire game. Would definitely recommend.